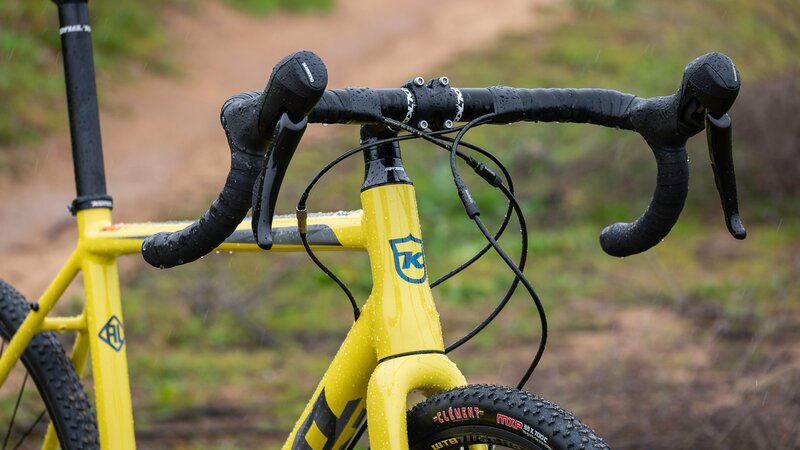 With the ability to ride on the street, trails, and gravel, cyclocross bikes have become a mainstay in many cyclists' bike quivers. They are the perfect bike for riders who only want one bike because they are so versatile. 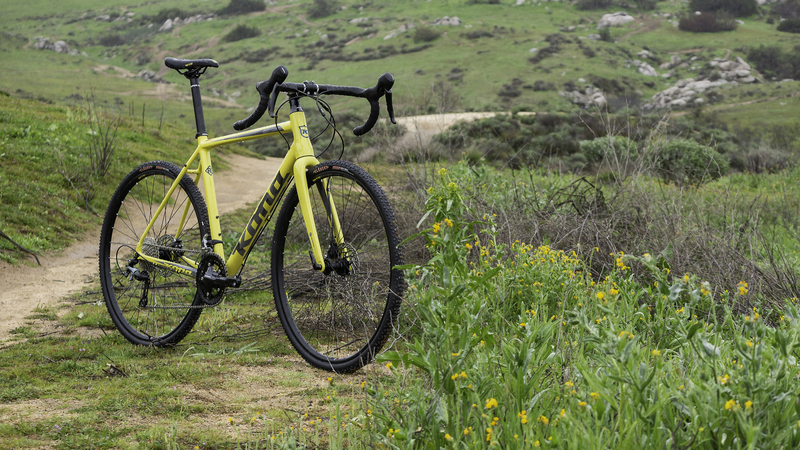 The 2018 Kona Jake The Snake Cyclocross bike is a workhorse that you can race on the weekends and then commute to work during the week. It starts with a Kona Race Light 6061 Aluminum Butted frame that is lightweight and incredibly durable. The frame uses flat-mount disc brakes, has front and rear thru-axles to improve handling, and internal cable routing for a clean look and to keep the cables away from the dirt and mud. The fork is carbon fiber to reduce the vibrations from the road and dirt. 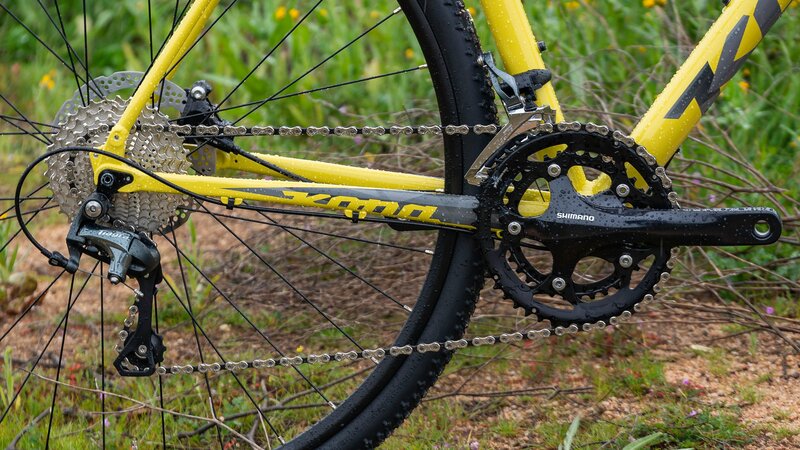 The Jake The Snake comes with a Shimano Tiagra 2x10-speed drivetrain. This includes a Tiagra front derailleur, rear derailleur, shifters, and cassette. The cassette has an 11-34 tooth gear range that is perfect for climbing while not sacrificing top-end speed. It comes with a Shimano crankset with 34/46 tooth chainrings. The Shimano Hydraulic Flat Mount disc brakes provide excellent stopping power needed for commuting and racing. WTB provides the rims with their STP i19 rims that are laced to Formula hubs. These wheels are expertly paired with Clement MXP 700x33 tires which are cyclocross race ready. If you're looking for a great all-around bike that can take you where ever you want to ride, then you'll love the 2018 Kona Jake The Snake. The bike is the same as this years model, only the drive and brakes differ. It's a a good value at the price I bought it at . Very smooth, great spec, although the Tiagra are not my choice they do work, so price point won. The bike handles very well, and feels quick, and snappy, what it 's made for. At $1,200, this bike is a steal. I got mine about 2 months ago and am loving it. The Tiagra shifts as well as my old Dura Ace on my road bike and the disc brakes are butter smooth. I have not even ridden my road bike since I got this, as I can take it just about anywhere, including some not too technical trails. I did replace the saddle, but that is just a matter of personal preference. Can't say enough great things about this bike! Super happy with this purchase and love how it shipped assembled and (almost) ready to go - just had to attach the front wheel and purchase pedals separately. are the tires tubeless ready ? Does this have mounts for fenders and a rack on the back? I see mounts for fenders rack near the dropout, but I don't see the mounts on the seatstays..... I don't see any fender mounts on the fork. Thanks! What is the weight of this bike in a 52cm, and is that with or without pedals? We weigh all built bikes across the spectrum of sizes to get a median weight. The weight of this bike is ~21.5-22.5lb. Bigger sizes will be heavier and smaller sizes will be lighter than the median. What is the tire clearance front and back for this bike? 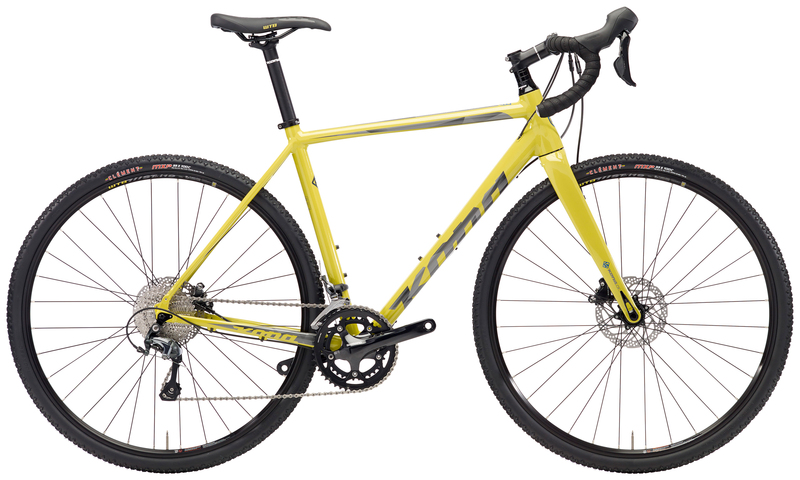 Kona claims this bike can accommodate up to 700x40mm tires in the frame. We've often found, with certain tire/rim combos, you can stretch those numbers just a bit in most frames. Will you ever have a 59cm size for this bike? Thanks!